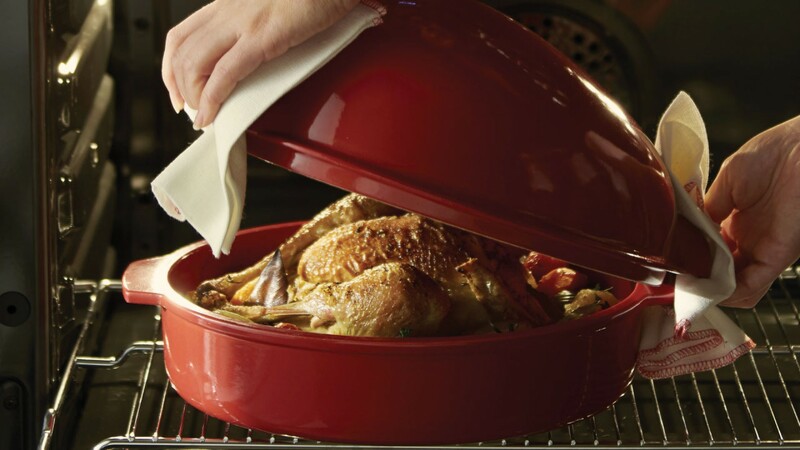 With the Chicken Roaster, you can produce a beautifully roasted chicken or joint without making your oven dirty. Pre-heat your oven while you are preparing the meat. Place your chicken or joint in the centre of the dish. Peel your vegetables and potatoes, chop them up and arrange them around the chicken or the joint. To ensure the skin is beautifully golden, remove the lid 5 minutes before the end of the cooking time. 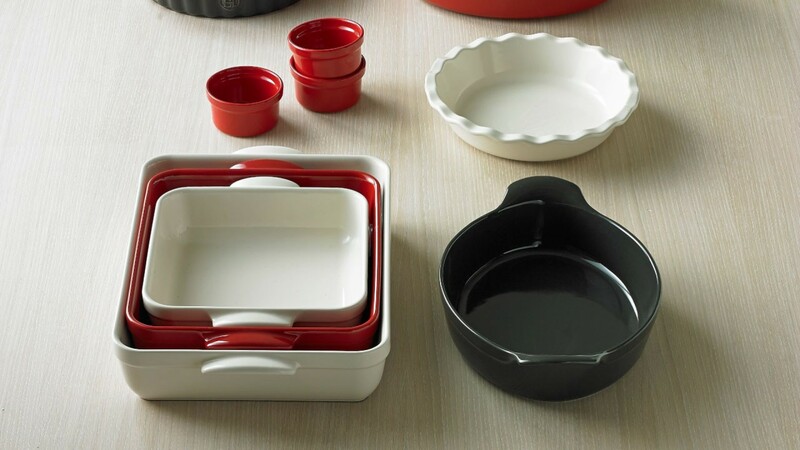 Your oven won't get splashed, as the cooking process is already finished. The Chicken Roaster is for oven use only. Do not use on the stove top or on any other source of direct heat. 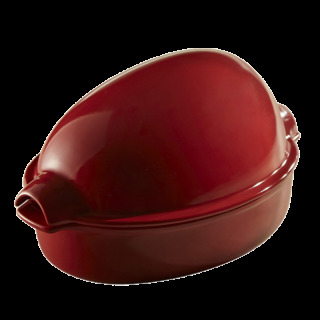 Thanks to its highly resistant glaze, you can use metal utensils in the Roaster without scratching it. You can also carve directly inside it.